Growing up in the 90’s, Disney princess movies were a key part of my childhood. Beauty and the Beast, originally released in 1991, was never a particular favorite of mine. The dark aesthetic of the film, and frankly, the beast himself, scared 4-year-old me. But as I got older, Beauty and the Beast became one of my favorites. Belle was always a very strong character for me to look up to, and the music is still some of my favorite Disney music ever. 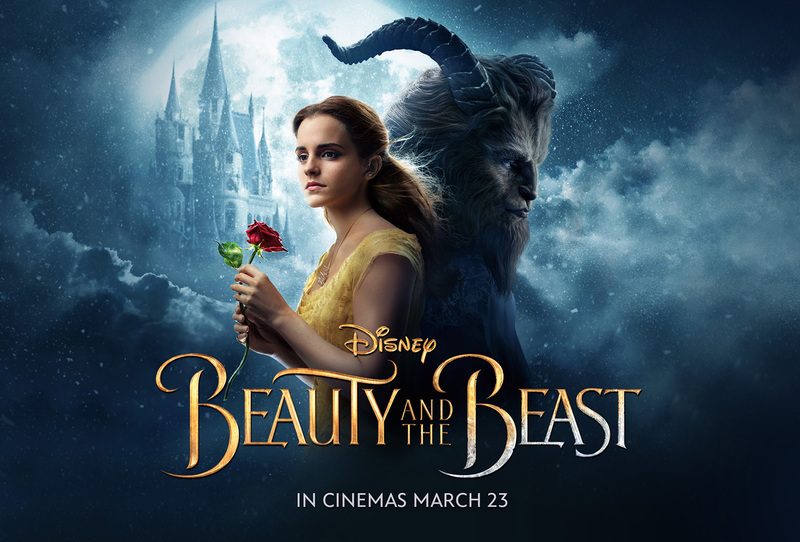 With last month’s release of the live action Beauty and the Beast, there were a lot of expectations for the film. The trailers looked absolutely stunning, and no one could doubt that Emma Watson would do a fabulous job with the role of Belle. But, there was still a lot for this movie to live up to. Movie’s often don’t live up to the hype, and a lot of people were concerned that this movie would be the same way. Fortunately, this movie absolutely lived up to the hype. If anything, it even exceeded expectations. Beauty and the Beast was a film that was absolutely worth seeing in theaters. I didn’t see it in 3D, but I’m betting that the 3D effects were great and didn’t let the audience down. Right from the very start, this film was beautiful. The set design, done by Katie Spencer, was off the charts, and truly transported to viewer to 18th century France. The costumes, designed by Jacqueline Durran, were also stunning, creatively mimicking the outfits of the original animation while also adding in beautiful detail that could only be done in a live action version. The set and costumes were just the beginning for this film. The special and visual effects were stunning, some of the best I have ever seen. They were so seamless in this film, it was almost always impossible to tell where real life ended and the special effects began. I actually forgot that I was watching a movie that was largely special effects, and I was so impressed by how well done the effects were. This movie was beautiful, and it was largely due to the special and visual effects teams. Of course, while the visuals of this film were beautiful and important, this film would be nothing without its fabulous actors. Emma Watson was, in my opinion, the perfect choice for the role of Belle. Most well known for her role as bookworm Hermione in Harry Potter, and a strong advocate for feminism, Watson has both the talent and mindset necessary for this role. She truly became Belle and gave a dynamic performance. As well, Luke Evans as Gaston and Josh Gad as LeFou were perfectly cast. They took their roles to heart, and really brought the characters to life, giving new depth to characters that were previously very flat. I felt this was true of all of the actors, from Kevin Kline as Maurice to Emma Thompson as Mrs. Potts, every character had a new depth and enthusiasm that brought this film to life. Last, but not least, was the music. With the score done by Alan Menken, who is known for his work on Disney films, the music outdid itself. Keeping with the well-known and traditional form of the original Beauty and the Beast, the score was able to appease the viewers who wanted their classic songs. At the same time, the music took a more modern twist where appropriate and added some more complicated elements that made it stand out from the original soundtrack. Personally, I was so happy that Tale as Old as Time sounded almost exactly the same as the original, but I was also happy that a lot of the group songs had added more choral elements. All in all, this was one of the best movies I’ve seen in a long time. The plot stuck to the original but also added a lot of really great new elements that allowed it to be a new movie experience. Visually and musically the film was stunning, the acting was brilliant, and I walked out of the theater genuinely in awe at how well done the movie was. Even if Disney is not your thing, I would highly recommend going to see this film while it is still in theaters. Beauty and the Beast lived up to the hype, and it created a new standard for films.